With its versatility, affordability and wonderfully uplifting aroma, Orange Essential Oil is one of the most popular of essential oils within aromatherapy. The aroma of Orange Oil is cheerful and helps to improve the aroma of a stale-smelling or smoky room. (Lemon is even better for diffusing in smoky rooms). Orange Essential Oil has become a popular ingredient within a wide assortment of natural (and some not-so-natural) household cleaning products. I often add a few drops when I clean the floor, but I always recommend being careful when trying essential oils on surfaces for the first time, and only use a few drops. Some people can't tolerate citrus essential oils (or are even allergic), so be prudent when diffusing Orange Essential Oil around others, but overall, Sweet Orange Essential Oil is a winner with children and adults alike. Unlike most essential oils that are extracted using steam distillation, most citrus oils including Orange Oil are extracted by cold pressing the rinds of the orange. You will sometimes find a steam distilled variety on the market, but it is fairly uncommon. When you have peeled an orange, have you ever noticed tiny droplets spray from the peel (not the fruit segments) and noticed a burst of orange aroma at the same time? What you noticing is the essential oil that lives in the rind escaping as you peel the fruit. The next time that you peel an orange (or other citrus fruit), try pressing a portion of the rind between your fingers, and you should be able to smell the intense aroma of the essential oil escaping the rind. Citrusy, sweet, reminiscent of orange peels, but more concentrated. Source: Julia Lawless, The Encyclopedia of Essential Oils (Updated Edition) (London: Harper Thorsons, 2014), 153-154. I have read conflicting reports as to whether Sweet Orange Essential Oil is phototoxic. 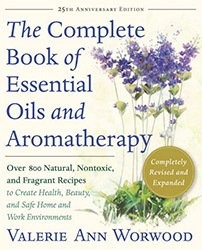 However, essential oil safety experts Robert Tisserand and Rodney Young do not indicate that it's phototoxic. Do pay close attention to the type of orange oil you are using as Bitter Orange Essential Oil is phototoxic.